The new bull of the month at German AI VOST is DG Charley son Veelhorst DG CASINO. With 159 RZG CASINO is one of the top-ranking bulls in the German RZG system and a very popular sire of sons. He also transmits high production, fitness and health traits and what makes him more interesting is the fact that he is FREE of BOOKEM bloodlines. CASINO was bred by Veelhorst Holsteins and Diamond Genetics and delivered to the VOST by Diamond Genetics. 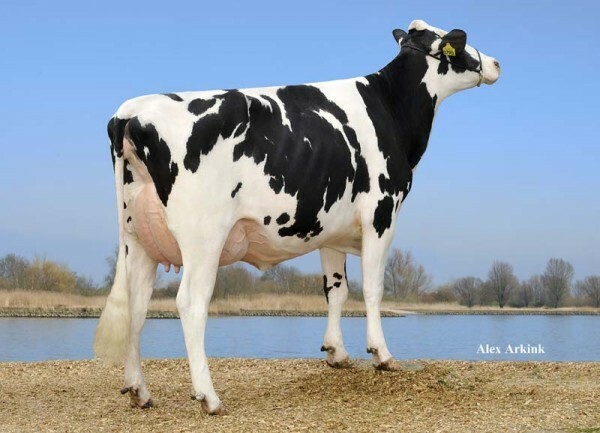 Grand dam: Broeks Plabet VG-88-NL 2yr.